මෙරට ප්‍රකෝටිපති ව්‍යාපාරිකයෙකු වන, රිචඩ් පීරිස් සමාගම් සමූහයේ සභාපති ආචාර්ය සේන යද්දෙහිගේ මහතාට විරුද්ධව ශ්‍රී ලංකා සුරැකුම්පත් හා විනිමය කොමිසම විසින් කොළඹ මහේස්ත්‍රාත් අධිකරණයේ නඩුවක් ගොනු කර තිබේ. රිචඩ් පීරිස් සමූහයේ අනුබද්ධ සමාගමක් වන කෑගල්ල වැවිලි සමාගම විසින් 2015 ජූලි 10 වන දින සමාගමේ එක් කොටසක් වෙනුවෙන් ප්‍රකාශයට පත් කරන ලද රු. 45.00 ක දැවැන්ත ලාභාංශය මේ සඳහා හේතු වී ඇත. මෙහිදී සුරැකුම්පත් කොමිසම කියා සිටින්නේ මෙකී ලාභාංශ ප්‍රකාශයට පෙර ඊට ආසන්න දිනක දී කෑගල්ල වැවිලි සමාගමේ කොටස් මිල දී ගැනීමක්, ආචාර්ය යද්දෙහිගේ විසින් සිදුකර ඇති බවයි. 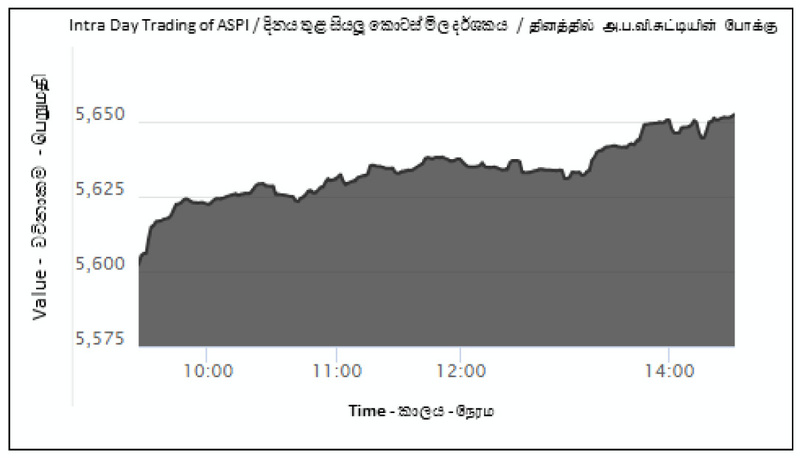 මෙය කොටස් වෙළෙඳපොළ අභ්‍යන්තරික වෙළෙඳාම (Insider trading) ගණයට ලා ගැනෙන වැරැද්දක් වේ. ආචාර්ය යද්දෙහිගේට අමතර, මෙම වරද සඳහා ඔහුට ආධාර හා අනුබල දීමේ චෝදනාව මත, සුබ්‍රමනියම් තිනමානි නැමැත්තෙකුට ද මෙහිදී චෝදනා ගොනු වී තිබේ. කෑගල්ල වැවිලි සමාගමේ මෙකී ලාභාංශය ප්‍රකාශයට පත්වීමත් සමඟ 2015 ජූලි 10 දින රු. 95 ක්ව පැවති සමාගමේ කොටසක මිල ඊට පසු ගනුදෙනු දිනය වූ 2010 ජූලි 13 දින රු. 140 ක් දක්වා දැවැන්ත ඉහළ යාමක් වාර්තා කළේය. ලංකා හොස්පිටල්ස් පීඑල්සී හි සමාගම් ලේකම්වරයා විසින් මේ බව අද (01) දින කොළඹ කොටස් වෙළෙඳපොළ වෙත දැනුම් දී තිබේ. සිය සමාගම විසින් සිදුකරනු ලබන ව්‍යාපෘති වෙනුවෙන් ලැබිය යුතු මුදල් ප්‍රමාද වීම හේතුවෙන් 2019 මාර්තු 31 දින වන විට ගෙවිය යුතු ණයකර පොළී මුදල්, ගෙවීමට නොහැකි තත්ත්වයක් පැන නැඟී ඇති බව MTD Walkers PLC පවසයි. මෙහිදී වැඩිදුරටත් සමාගම කියා සිටින්නේ රජයේ ව්‍යාපෘති සඳහා ලැබිය යුතු මුදල් ප්‍රමාද වීම හේතුවෙන් මෙම අර්බුදයට මුහුණ පෑමට සමාගමට සිදුව ඇති බවයි. කෙසේ වෙතත් 2019 මාර්තු 31 දිනට ගෙවිය යුතු ණයකර පොළී මුදල්, 2019 අප්‍රේල් 30 හෝ ඊට පෙර ගෙවීමට කටයුතු යොදන බවත්, ගිවිසුමේ සඳහන් පරිදි සිදුව ඇති ප්‍රමාදය හේතුවෙන් 2% ක දණ්ඩන පොළියක් (Penal interest) ගෙවීමට සමාගම පියවර ගන්නා බවත් MTD Walkers PLC පවසා සිටී. සමාගමේ උප සභාපති (සමූහ මූල්‍ය පාලක) රොසෑන් ජමීල් ගේ අත්සනින් යුතුව, කොළඹ කොටස් වෙළෙඳපොළ වෙත ලිපියක් යවමින් MTD Walkers PLC මේ බව දැනුම් දී ඇත. කලකට පසු කොළඹ කොටස් වෙළෙඳපොළ මිල දර්ශකයන් හි කැපී පෙනෙන ඉහළ යාමක් අද (04) දින වාර්තා විය. මෙහිදී සියලු කොටස් මිල දර්ශකය දිනය තුළ දී ඒකක 56.06 කින් ඉහළ ගිය අතර එය පෙර දිනයට සාපේක්ෂව 1% ක වර්ධනයක් ලෙසින් වාර්තා වේ. මේ අනුව දිනය අවසානයේ දී සියලු කොටස් මිල දර්ශක අගය ඒකක 5,653.43 ක් ලෙසින් සටහන් විය. මේ අතර අද දින සමස්ත ගනුදෙනු පිරිවැටුම රුපියල් මිලියන 563.59 ක් ලෙසින් වාර්තා වුණි. මෙහිදී රුපියල් මිලියන 399.75 ක් විදේශීය විකුණුම් ලෙසත්, රු. මිලියන 142.27 ක් විදේශීය ගැණුම් ලෙසත් දක්නට විය. වසරේ මේ දක්වා කාලය තුළ සාමාන්‍ය දෛනික පිරිවැටුම රුපියල් මිලියන 640 ක් ලෙසින් වාර්තා වේ. කෙසේ වෙතත් අද (04) දින දක්වා කාලපරිච්ඡේදය තුළ දී කොටස් වෙළෙඳපොළ කාර්යසාධනය සැලකීමේ දී 2019 වසර තුළ සියලු කොටස් මිල දර්ශකය 6.59% කින් පහළ ගොස් තිබේ. ECONOMYNEXT - Sri Lanka’s Softlogic Holdings said it is opening ‘mini format’ Glomark supermarkets in its hospitals chain to make best use of links between group units and larger format outlets in densely populated suburbs. 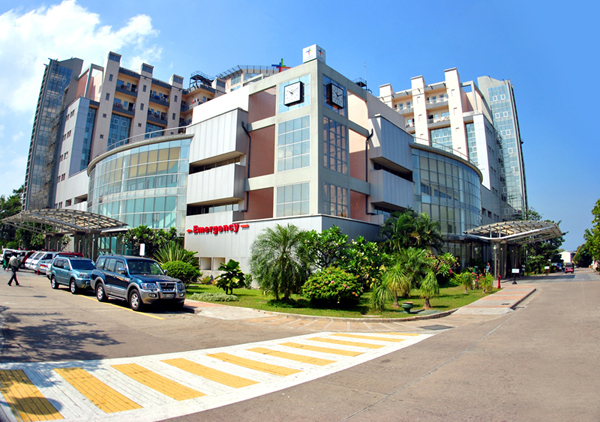 Two ‘Glomark Essentials’ outlets have been opened at Asiri Central Hospitals in Colombo and Asiri Hospital in Kandy in the central hills, a statement said. The strategy to have the big format Softlogic Glomark along with the new mini format Glomark Essentials is part of Softlogic’s plans for rapid expansion and growth of the brand. The supermarket chain was launched by Softlogic Supermarkets Pvt Ltd, a subsidiary of Softlogic Retail (Pvt) Ltd, under the ultimate parent group, Softlogic Holdings PLC. 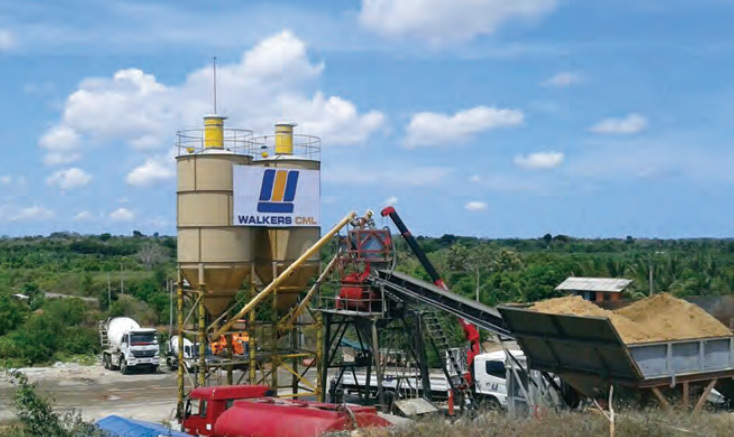 Another smaller outlet will be opened in June this year at Orion City, an IT business park, which will be followed up by the multiple large format outlets in the suburbs of Kottawa, Mount Lavinia and other ‘consumer-dense’ cities, he said. ශ්‍රී ලංකාවේ ප්‍රමුඛ පෙළේ ඇඟළුම් නිෂ්පාදන සමාගමක් වන බ්‍රැන්ඩික්ස්, පාරිසරික යහපැවැත්ම වෙනුවෙන් නිරන්තරවම අවධානය යොමුකරන සමාගමකි. එම සමාගම් සමූහයේ මඩකළපුව ඇඟළුම් කර්මාන්තශාලාව පසුගියදා LEED Platinum ශ්‍රේණිගත කිරීමෙන් ශ්‍රී ලංකාවේ ප්‍රමුඛස්ථානය ලබාගැනීමට සමත්ව සිටී. ‘කර්මාන්ත නිෂ්පාදන’ ^Industrial Manufacturing& අංශයෙන් බ්‍රැන්ඩික්ස් සමාගම සිය ගමන් මගෙහි මෙම සුවිශේෂී සංධිස්ථානය සනිටුහන් කරන ලදී. 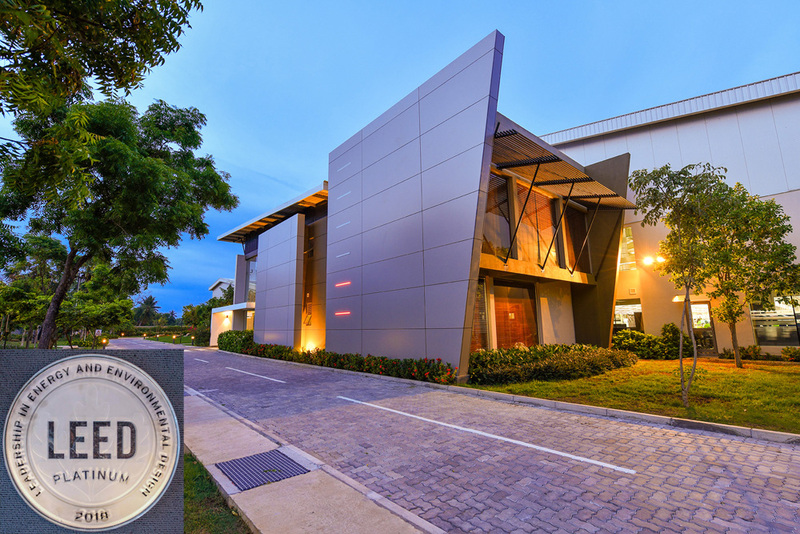 LEED Platinum ශ්‍රේණිගත කිරීම් අනුව ලෝකයේ දෙවැනි ස්ථානය හිමිකරගෙන සිටින්නේද මඩකළපුව බ්‍රැන්ඩික්ස් කර්මාන්තශාලාව වීම තවත් අතකින් බ්‍රැන්ඩික්ස් විශිෂ්ටත්වය ලොවට කියා පායි. LEED (බලශක්ති හා පාරිසරික නිර්මාණකරණයෙහි නායකත්වය), යනු ඇමෙරිකා එක්සත් ජනපදයේ හරිත ගොඩනැගිලි කවුන්සිලය (USGBC) විසින් පාරිසරික තිරසාරභාවය වෙනුවෙන් පිරිනමන ජාත්‍යන්තර කීර්තිමත් ශ්‍රේණිගත කිරීමකි. වියදම් අවම කරගනිමින්, වඩාත් ඵලදායී ආකාරයට සෞඛ්‍යයට හිතකර ගොඩනැගිලි ඉදිකර පවත්වාගෙන යන ආයතනයන් වෙත මෙම ශ්‍රේණිගත කිරීම ලබාගැනීමේ හැකියාව පවතී. ඵලදායී බලශක්ති භාවිතය, සුරක්ෂිත ජල භාවිතය සහ විශිෂ්ට අපද්‍රව්‍ය කළමනාකරණය මෙන්ම කාබන් පිටවීම අවම කිරීම යන කරුණු පිළිබඳව බ්‍රැන්ඩික්ස් සමාගම දක්වන උනන්දුව හා කැපවීමද මෙම ශ්‍රේණිගත කිරීමත් සමග අපට පැහැදිලි වේ. ශ්‍රී ලංකාව තුළ ක්‍රියාත්මක වන බ්‍රැන්ඩික්ස් ඇඟළුම් කර්මාන්තශාලා ජාලය අතර විශාලතම කර්මාන්තශාලාව වන්නේ මඩකළපුව බ්‍රැන්ඩික්ස් ඇඟළුම් නිෂ්පාදනායතනයයි. මඩකළපුව ආශ්‍රිතව ජීවත්වන 5,000කට අධික පිරිසකට මෙම කර්මාන්තශාලාව මගින් ජීවිකාව සලසා ගැනීමට අවස්ථාව උදාකර දී තිබේ. සිය ව්‍යාපාර මෙහෙයුම් ක්‍රියාවලියේ සෑම තැනකදීම තිරසාරභාවය වෙනුවෙන් ඉහළ ප්‍රමුඛතාවයක් ලබා දීම ඇඟළුම් කර්මාන්තයේ විශිෂ්ට ස්ථානයකට පැමිණීමට බ්‍රැන්ඩික්ස් සමාගමට සුවිසල් පදනමක් වී තිබේ. 2008වර්ෂයේදී සීදුව හරිත ඇඟළුම් කර්මාන්තශාලාව පිහිටුවන්නට බ්‍රැන්ඩික්ස් සමාගම කටයුතු කළ අතර, ලොව ප්‍රථමLEED Platinum ශ්‍රේණිගත කිරීම හිමිකරගත් ඇඟළුම් කර්මාන්තශාලාව බවට පත්වෙමින් එය ශ්‍රී ලංකාවට සුවිසල් කීර්තියක් ලබාදීමට සමත් විය. එයින් දශකයක් වැනි කාලසීමාවක් ගතවන වර්තමානය වන විට සිය ඇඟළුම් කර්මාන්තශාලා වෙනුවෙන් LEED සහතිකකරණයන් මෙන්ම තවත් දේශීය සහ ජාත්‍යන්තර සම්මානනීය ඇගයීම් රාශියකින් පිදුම් ලැබීමට බ්‍රැන්ඩික්ස් සමාගම සමත්ව සිටී. 2020 වර්ෂය වන විට සිය නිෂ්පාදන ක්‍රියාවලිය හරහා පරිසරයට කාබන් පිටවීම අවම අගයකට පත්කරවීම බ්‍රැන්ඩික්ස් සමාගමේ අපේක්ෂාවයි. ඊට අමතරව බ්‍රැන්ඩික්ස් සමාගම සිය සමාජ සත්කාර මෙහෙවර යටතේ තමන් ක්‍රියාත්මක වන ප්‍රදේශයන්හි සිය සාමාජික පිරිස මෙන්ම අවට ජනයාගේ ජල අවශ්‍යතාවය හා සනීපාරක්ෂක පහසුකම් සම්පූර්ණ කිරීමට කැපවීමෙන් කටයුතු කරමින් සිටී. එම වැඩපිළිවෙළ තව දුරටත් ව්‍යාප්ත කරමින් කැළණි ගංගා නිම්නය ආශ්‍රිතව ජීවත්වන ජනතාවගේ ජීවනෝපාය, ප්‍රජා හා කර්මාන්ත සංවර්ධනය සඳහා මෙන්ම සුරක්ෂිත පානීය ජල අවශ්‍යතාවය තහවුරු කිරීමේ පියවරක් තබා ඇත. Kelani River Multi-stakeholder Partnership ^KRMP& යනුවෙන් නම්කර තිබෙන එම ව්‍යාපෘතිය තවත් පාර්ශවකරුවන් කිහිපදෙනෙක් හා එක්ව දියත්කර තිබේ. 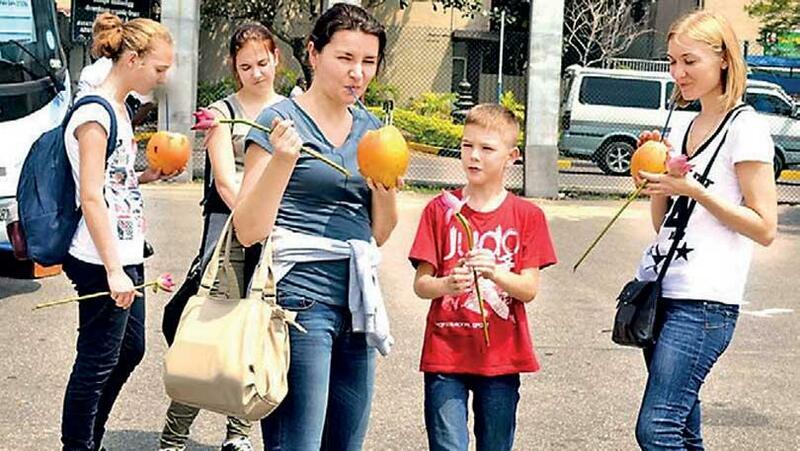 India, United Kingdom, China, Germany and France were Sri Lanka’s top five international tourist generating markets in the month of March this year. India was the largest source of tourist traffic to Sri Lanka with 14% of the total traffic received in March. UK accounted for 12% of the total traffic while China, Germany and France accounted for 10%, 7%, and 6%, respectively. Sri Lanka's central bank is awaiting legal approvals and better terms on a delayed loan from the Bank of China, Governor Indrajit Coomaraswamy said. "The job of the central bank is to expect the worst, and we're going into an election year, so premium would be attached to raising money relatively quickly," he told reporters on Monday. "We want to raise money which would look after much of our obligations up to mid-2020." "We have some plans, but we need some things first." The central bank in February had said that Samurai and Panda bonds would follow the March International Sovereign Bond (ISB). Further approvals from the Appropriation Act are required for normal debt raising activities, Coomaraswamy said on Monday. He said the Active Liability Management Act (ALMA) needs to be activated as well. ALMA was approved in parliament last year to enable the central bank to raise debt above the limit of the Appropriation Act to meet maturing debt obligations. Sri Lanka is currently in the peak of a foreign debt repayment cycle, which would last till 2022. "We have to activate ALMA, and for that, we need the debt number for the previous year," Coomaraswamy said. "That will be finalized on the 31st of May." 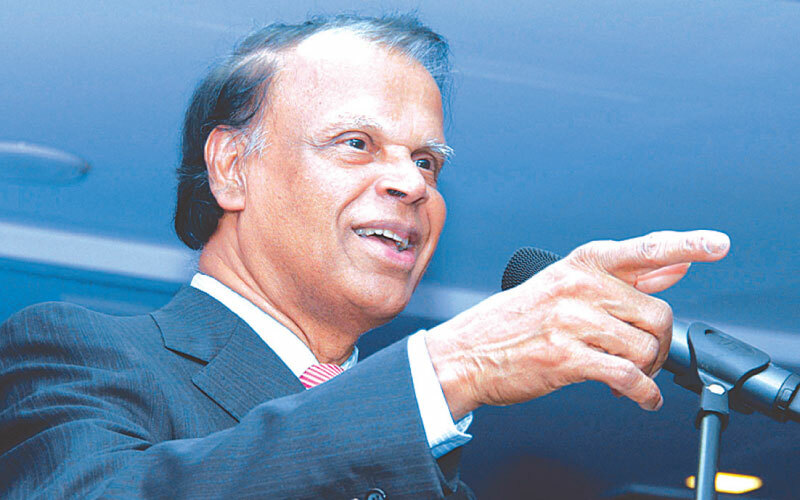 Sri Lanka had been planning to raise up to one billion US dollars through a loan from the Bank of China in February. However, the loan never came through. Coomaraswamy said the Bank of China had offered a three year loan at higher rates tentatively, which was not as competitive as the 5-year and 10-year 2.4 billion US dollar March ISB. 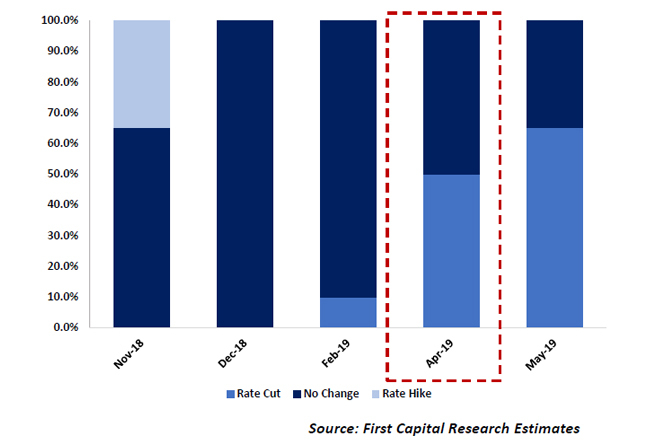 "In the first quarter, ISB rates had gone through the roof after 26th October and the developments during that time, including the downgrading." "Yields were extremely high, and there was some doubt if we could go to the market and raise funds through ISBs." "ISBs were our first choice, and we needed at least a 5-year tenor, but people were worried if we could." "Once we repaid the one billion ISB maturing on January 15, things started to improve." "We had talked to the Reserve Bank of India about a swap, which we didn't use, and the China loan also we didn't use." "Right now, we don't need that money." "We went for the ISB in the longer term." Coomaraswamy said the local branch of Bank of China had initially offered 300 million US dollars, but Sri Lanka needed 1 billion US dollars, which required head office approval. Bank of China had also not offered a firm term sheet. The central bank is still open to a loan from China, at better rates, Public Debt Department Superintendent M. Z. M. Aazim said. "We have asked them to come with better terms," he said. If this was not done by the CB for some good reason why these politicians medal with it now & upset the economic recovery? ආයෙත් වලං කඩේට ගොනා පැන්නද? Sri Lanka’s tourism earnings grew by 5.9 percent Year-on-Year (YoY) to US$ 1.39 billion in the first quarter of the year, according to Central Bank (CB) estimates. The growth in tourist arrivals averaged to 4.6 percent in the first quarter with 740,600 foreigners travelling to the island nation. In March, the country earned US$458.6 million from tourism, up 6 percent from US$ 432.8 million a year earlier. Tourist arrivals grew moderately at 4.7 percent YoY in March to 244,328 visitors amidst a notable decline in arrivals from Northern and Western European countries. Sri Lanka earned US$ 4.38 billion from tourism in 2018 with 2.3 million tourists visiting the country. The government is targeting to earn a record US$4 billion from tourism this year, attracting 4 million tourists to the country. However, industry experts stress that a well-planned marketing campaign will be crucial to achieve the targets. The Ministry of Tourism Development and Christian Religious Affairs has announced that the government would launch the long-delayed, 3-year Global Tourism Promotional Campaign this June. Meanwhile, the CB data showed the workers’ remittances declining by 12.4 percent (YoY) to US$ 500.5 million in February. The cumulative the workers’ remittances during first two months of the year also declined by 19 percent YoY to US$1.04 billion. In 2018, the workers’ remittances retained its position as the top foreign exchange earner for the country by bringing over US$7 billion foreign exchange to the country. Positive sign for the Stock market since the low interest on bills means foreign investors tend to invest more on Stocks. ECONOMYNEXT - Sri Lanka's benchmark Treasury bill yields fell across all three maturities at Tuesday's auction with the 12-month bill dropping 8 basis points to 9.91 percent, data from the state debt office showed. The three-month Treasury bill yield fell 9 basis points from a week earlier to 9 percent, while the six-month yield was down 10 basis points to 9.29 percent. The debt office of the Central Bank had sold Treasury bills worth 24 billion rupees at Tuesday's auction, the exact amount it had offered. Bids amounted to 75.9 billion rupees. Bids for the three-month bill totaled 9.4 billion rupees of which 4 billion rupees were accepted. Six-month bills attracted bids amounting to 11.6 billion rupees with 5 billion rupees sold. The Securities and Exchange Commission of Sri Lanka (SEC) will launch the first in the ‘Chairman’s Forum’ series this week. The first in the series titled ‘Dialogue with Public Listed Companies (PLCs)’ is due to be held on April 25 from 4.30 p.m. to 7.00 p.m. at the Hilton, Colombo. PLCs have been encouraged to present issues, thoughts, ideas or recommendations with regard to regulatory matters and capital market development matters. In January, the trade deficit continued its improving trend in recent months. The trade deficit was recorded at US $ 617 million during the month, compared to a deficit of US$ 701 million in December, and US $ 1,049 million in January last year. The significant reduction in the trade deficit was due to the combined effect of higher earnings from exports and a notable deceleration in import expenditure. 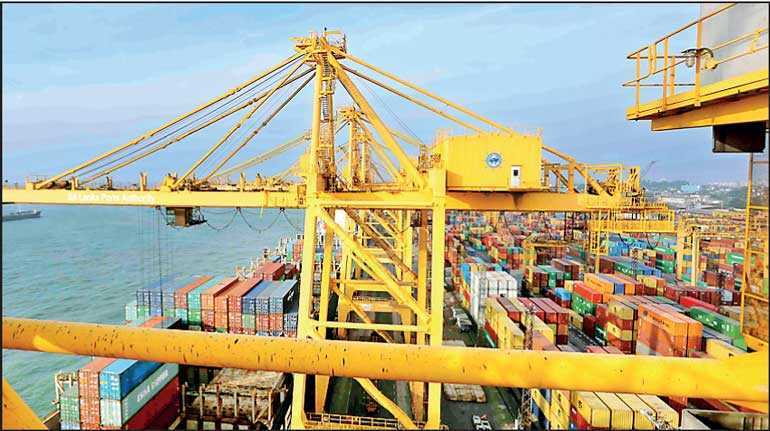 Exports grew 7.5 per cent while imports declined significantly by 17.8 per cent in January 2019 (year-on-year). Tourist arrivals grew 2.2 per cent (year-on-year) in January 2019, resulting in earnings from tourism of US dollars 458 million during the month. Workers’ remittances in January 2019 amounted to US dollars 545 million, a notable reduction compared to January 2018. 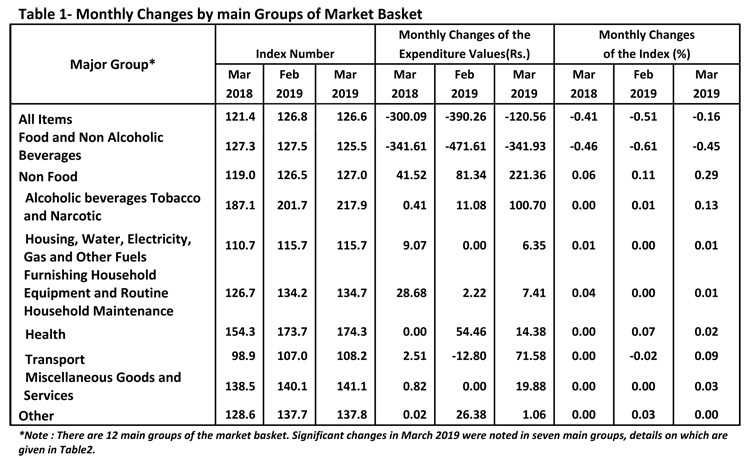 In the financial account, net outflows from the government securities market moderated in January 2019, compared to the second half of 2018. The government repaid the International Sovereign Bond (ISB) of US $ 1 billion that matured in January 2019, as scheduled. The pressure on the exchange rate witnessed in the latter part of last year eased with a notable reversal during January this year. The rupee appreciated by 1.6 per cent in January, from Rs. 182.75 per US dollar at theend December to Rs. 179.88 by the end of January. The exchange rate appreciated to Rs. 174.65 per US dollar by April 17, an appreciation of 4.6 per cent. With the settlement of the maturing ISB, the country’s gross official reserves declined to US dollars 6.2 billion at the end of January this year. Sri Lanka issued ISBs amounting to US $ 2.4 billion last month, increasing the gross official reserves to US $ 7.6 billion by the end of last month, which was equivalent to an estimated 4.3 months of imports. Six explosions around the country. Targeting three Christian churches and three tourist hotels. 160 people have been reported dead so far.